The arrival and departure of different kinds of birds in the spring and the autumn is a phenomenon that has fascinated people from the earliest time. 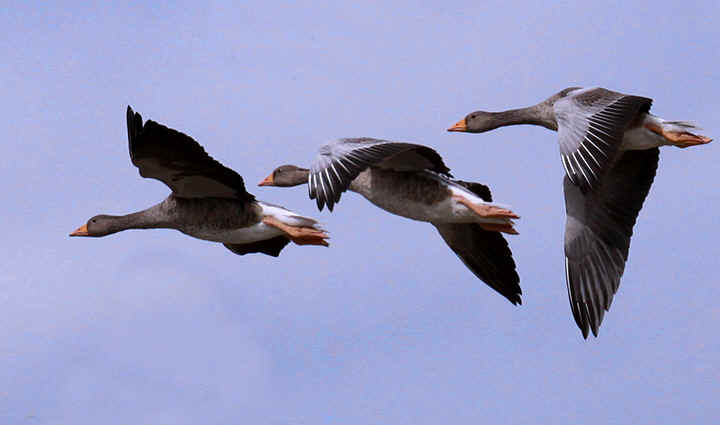 At this time of year, millions of birds in the northern hemisphere are moving south. 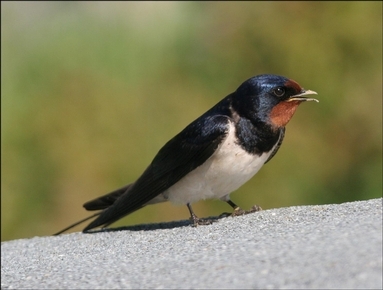 The reduction in numbers of Swallows and House Martins around our villages as they head off, in some cases to South Africa, is a sign of approaching winter. Thousands of birds from many different species are moving through Arran. Some are just passing through, but others like Greylag Geese, Wigeon and Purple Sandpipers that have been breeding to the north of us, will stay over the winter. It is a fascinating time of year to be watching birds. How birds find their way year after year from one part of the world to another is one of life’s mysteries. Think about it for a moment. What do birds need to do this? Obviously they need to be able to fly. Their body mass needs to be such, that they can become airborne. Light as a feather is an appropriate expression. Birds also have exceptional respiratory, cardiovascular and metabolic systems. These ensure that the wing muscles are well supplied with oxygen and energy rich fuel and that the waste products are removed preventing the cramps so familiar to exercising humans. Compared with humans, birds are much more effective at getting oxygen out of the air into their systems. To achieve this, as well as lungs, birds have lots of air sacs in the thorax in the abdomen, between the skin and body walls and within the bones. In addition to these physical attributes, birds need to know where they are, where they need to be, a sense of direction, an ability to navigate from one place to another and a sense of changing season and of changing day. In fact they need the equivalent of a map, a compass, calendar and clock, together with a good memory, all packed into a brain that in some birds is no bigger than a pea. The expression bird brain has a different meaning in the context of migration! As you reflect on where the Swallows have gone that so recently were swooping round your garden or hear the sound of migrating geese overhead, I hope you will agree that the natural phenomenon of migration truly is a wonder.